So I finally spent the five minutes it took me to move my standing, sitting desk up to a height that is more appropriate for me to stand at. I used three boxes that had been used for our past five moves (don’t ask). They’ll work for now. If this works alright, I might end up making something a little more permanent while I conjure up the funds to purchase a proper desk. For your viewing pleasure, a picture is below. 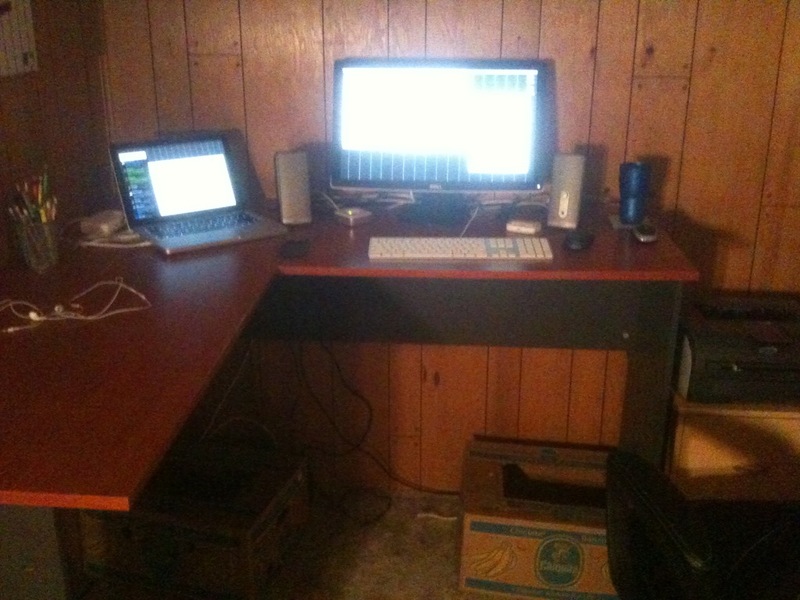 This is how you convert to a standing desk on a budget. Next Next post: College not worth it?